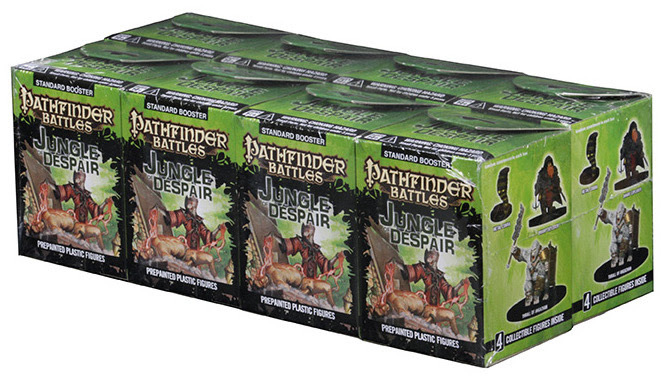 Action Figure Insider » Pathfinder Battles: Jungle of Despair – Available Now! Pathfinder Battles: Jungle of Despair – Available Now! From the World of Golarion, Find Friends and Foes in Pathfinder Battles: Jungle of Despair! Now Available! 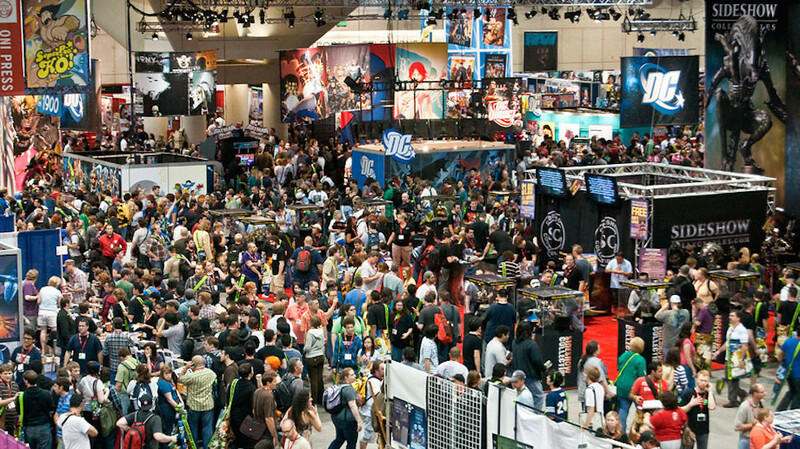 Hillside, NJ – April 25, 2018 – WizKids is excited to announce its newest addition to the ever-growing line of pre-painted miniatures, Pathfinder Battles: Jungle of Despair! Focusing on the creatures that inhabit the world of Golarion, this 44-figure set is the latest release in the award-winning Pathfinder Battles line of minis. Getting a case of Jungle of Despair Standard Booster Bricks will open up the opportunity to purchase the Case Incentive, The Hydra! This Huge, hulking beast is everything one would hope for in a monstrous encounter. 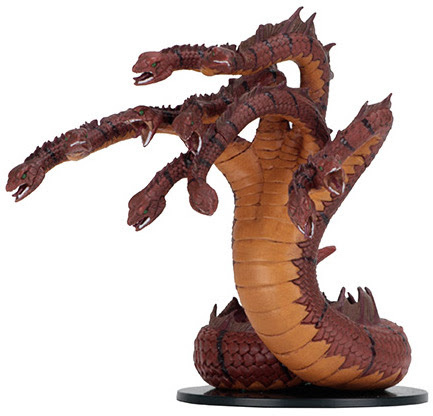 As the legends state, cut off one head of a Hydra, and two more grow back. This impressive figure comes with 10 interchangeable heads that will leave yours spinning with options!This brand-new set is packed full of intense adversaries, powerful allies, and wondrous marvels to add to your tabletop experience. Head down to your Friendly Local Game Store to pick up your boosters, and maybe even the Hydra, today! Welcome to the Jungle.